To all you parents out there who have been dropping off and picking up kids from public school for years, I applaud you. These past three weeks have felt like an eternity and I’m just as worn out, if not more so, than my daughter. By the time dinnertime rolls around, the last thing on my mind is cooking an extravagant meal. In fact, I decided to cut all recipes out that require a lot of preparation or long cooking times from off our weekly menu. But, I also don’t want to feed my family junk food or a smorgasbord of leftovers from what I made on the weekend. So what then? 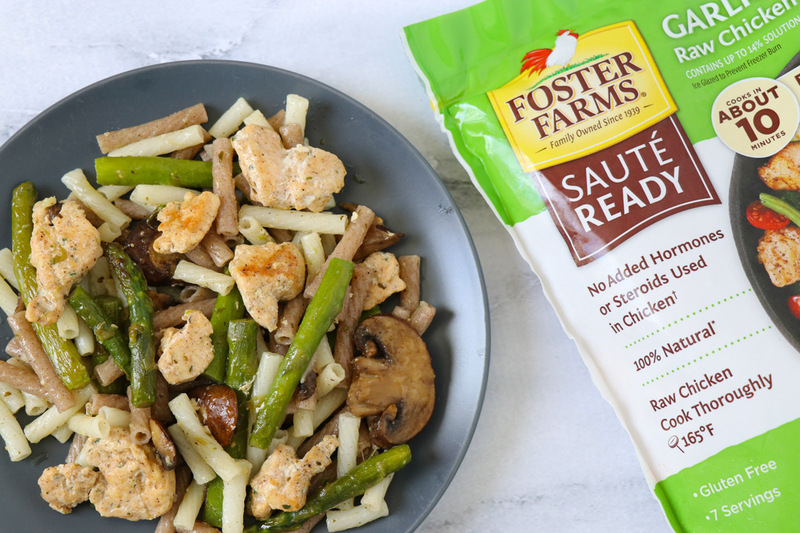 I recently discovered Foster Farms Sauté Ready for easy dinners in less than 30 minutes and it has made me one happy mama. 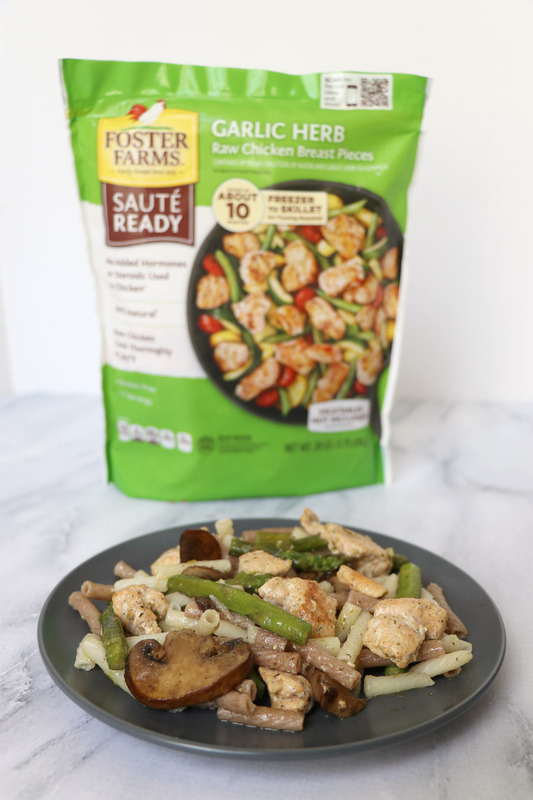 Foster Farms Sauté Ready is a line of frozen raw chicken strips that are marinated and ready to eat in about 10 minutes. These come in four varieties — Garlic Herb, Fajita, Asian Style, and Lemon Pepper. I was able to find Asian Style and Lemon Pepper at one store and the Garlic Herb at another. These are brand new products so stores may still be expecting their orders. What I was UBER excited about was the fact that three of the four flavors are gluten free (for Frans) and all of them are dairy free (for me). That means we can eat Foster Farms Sauté Ready as a family even with our crazy food allergies! Now, when I mention “10 minutes,” that is the actual cooking time. From when you put the frozen pieces in the pan to when they’re ready to serve, it only takes 10 minutes. There’s no need to thaw the chicken at all. Just follow these four steps. Add oil to pan and heat. Cook on medium-medium high for 10 minutes, turning often. That’s it. The timing was good too. I tend to overcook my chicken because I’m too nervous for it to be undercooked. That’s why Munchkin has taken over the job of cooking chicken. Somehow, she’s able to get it tender, cooked, and juicy every time. With her having so much homework every day, though, I can’t count on her to be my chicken chef every time. Well, after 10 minutes, the Garlic Herb chicken turned out perfect! When I showed my daughter the inside of one piece, she gave her “yes, it’s cooked” seal of approval. 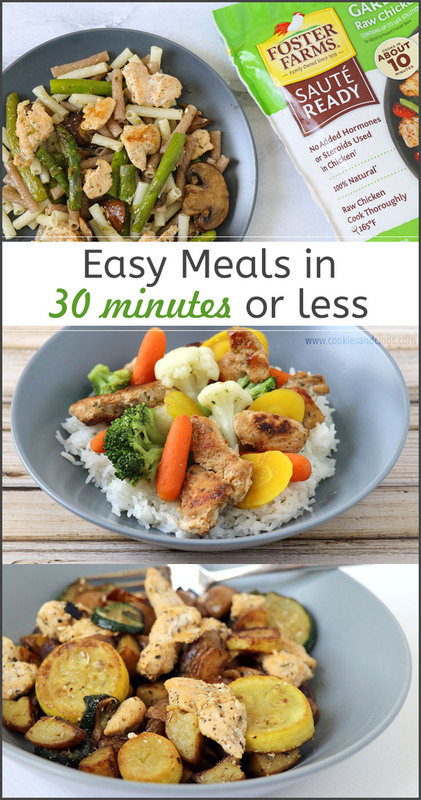 30-Minute Easy Dinners? Yes, Please! I also cooked some gluten free quinoa pasta (ugh, I can’t have corn alternative either…) and some veggies. The pasta was ready in about five minutes. I then added some pesto, garlic salt, and olive oil. The mushrooms and asparagus were actually pre-washed, pre-cut, and packaged together at the grocery store. So, all I had to do was put them in the pan and sauté them with olive oil, salt, and pepper. By the time the pasta and vegetables were done, so was the chicken. The chicken didn’t need any seasoning since it’s already marinated in a yummy blend of spices. I tossed the ingredients together and served dinner. From start to finish, it took me about 15-20 minutes to have the entire meal cooked and on the table. Score! I couldn’t believe the whole process took less than 30 minutes. Talk about quick and easy dinners! All I had to do was open packages, put them in a pan, and sauté the contents. It didn’t require even an ounce of thinking on my part. For nights that I’m on auto-pilot, that’s a MAJOR win in my book! Oh, and I should mention that the food was delicious! The chicken was cooked just right and seasoning gave enough flavor without being overpowering. Since that first meal, I have cooked two more using the other Foster Farms Sauté Ready packages. 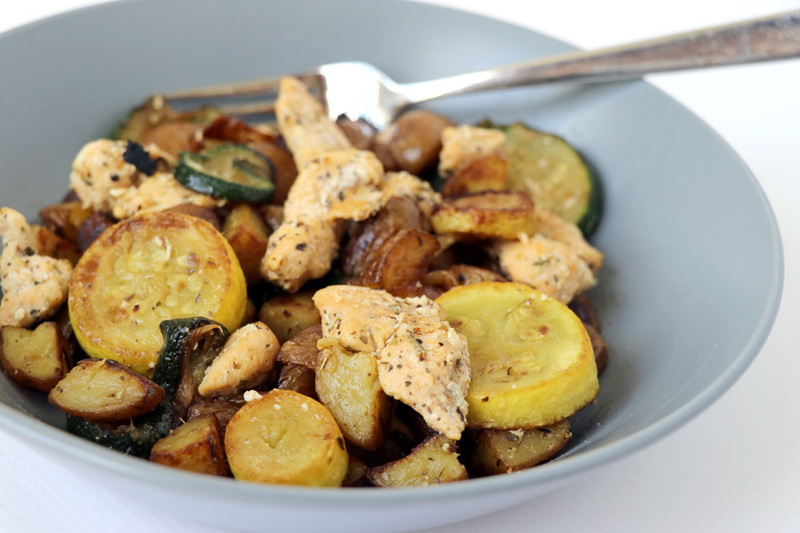 I cooked the Lemon Pepper with squash, zucchini, onions (those three were pre-cut, pre-washed, and packaged together), and baby red potatoes. For the Asian Style, I added carrots, broccoli, and cauliflower and served it with rice. Both tasted good but Garlic Herb is still my favorite. The flavor is so versatile with different cuisine types. Foster Farms Sauté Ready runs about $9.99 per package and serves 4-7 people, depending on how big the portions are. They are in the freezer section either with other frozen Foster Farms products or in the quick meal skillet section. As mentioned, the majority of these flavors (just not the Asian Style) are gluten free and are clearly marked on the front of the package. Ingredients vary but are basically boneless, skinless chicken breasts, water, and seasonings. Very simple and real. With this new schedule that we are struggling to adjust to, I am so glad I found Foster Farms Sauté Ready. Now I have a way to crank out hot, tasty, and easy dinners for the family in less than 30 minutes. Then, we can all sit down to enjoy a nice meal and unwind from the stress of the day. Foster Farms Sauté Ready helps me bring some order back to the house and “Rule the Roost” with some renewed confidence. 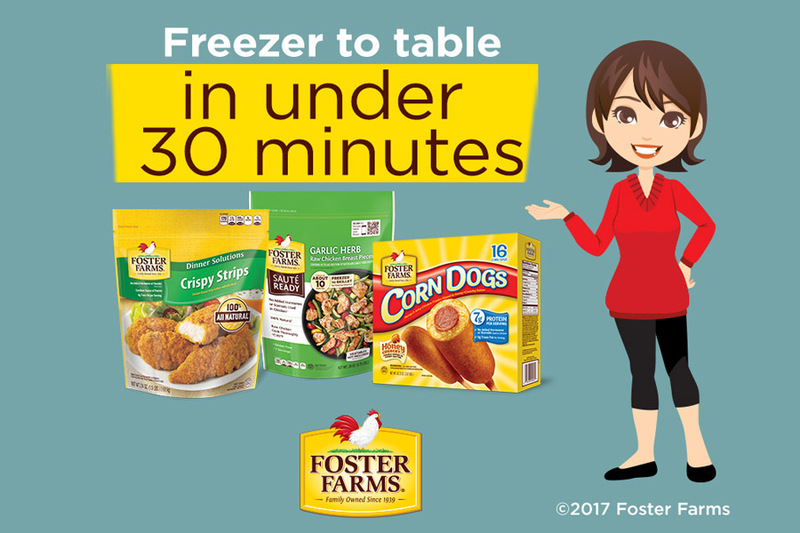 For other solutions to calm back to school chaos, look for Foster Farms frozen crispy strips, buffalo wings, chicken nuggets, orange chicken, and many other frozen chicken products such as their selection of corn dogs (there’s even a gluten free version). 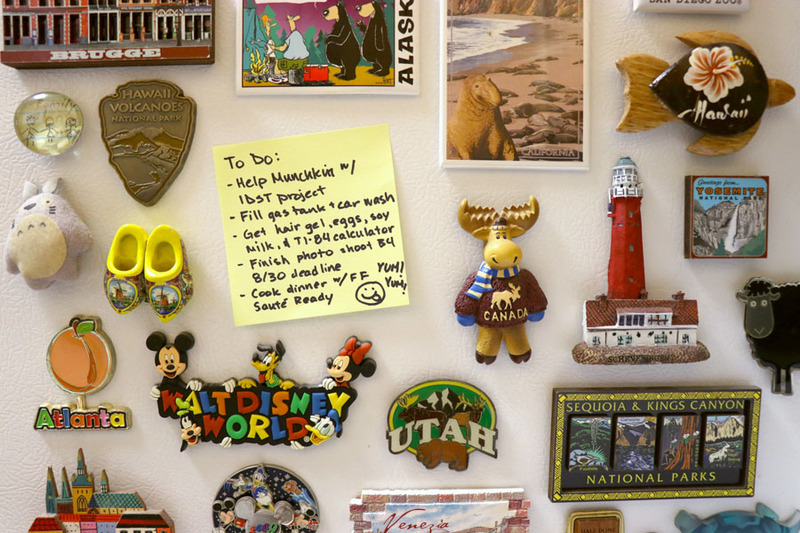 Could you use some back-to-school dinner-time help? Thanks to Foster Farms, one of my readers will win ten Foster Farms Sauté Ready coupons. Each of these is good for one Foster Farms Sauté Ready package up to $9.99. That’s a total value of almost $100! Coupons are valid until the end of NEXT year. Enter below! I would like to try the Asian Style first. The garlic herb variety would be at the top of my list. I would like to try the Asian Style. I would serve it with rice. Lemon Pepper would be the first I’d try but they all sound amazing! The first one I would love to try is the Asian Style, There are a few others I would also like to test out on my family. I would like to try Garlic Herb. I would serve it with pasta. I would be most excited for Lemon Pepper. I would like to try the fajita. I’d like to try the Garlic Herb flavor first. They all sound really great. I would like to try the Garlic Herb. I would serve it with penne pasta. I’d like to try the Garlic Herb flavor. I’d try the Fajita with some brown rice. I LOVE Garlic so the Garlic Herb one would be my first choice. Lemon Pepper with a side of vegetables..
Garlic Herb served with a glass or two of white wine. I’d love to try the Asian style! I would love to try the asian style!! I’d do fajita style and serve with avocado, tomato, and tortillas. The garlic herb sounds the best to me. 🙂 I’d love to try it! I would try the Foster Farms Sauce Ready Garlic Herbs first, served over seasoned penne pasta. I would like to try the Asian Style chicken. I would use the Asian Style first and serve it over rice with a side of sauteed vegetables. I’d like to try Foster Farms Saute Ready Fajita Chicken in fajitas. I would like to try the Fajita. I would serve it with tortillas, refried beans and Spanish rice. I would like to try the Garlic Herb. Lemon Pepper sounds and looks great, I would throw some eggs in the pan with it and serve it up with a salad and nice crusty bread! Yum! I never would have thought of putting it with eggs and adding it to a salad! I would like to try the Garlic Herb chicken. I would serve it with grilled asparagus and wild rice. Thanks for the giveaway. I would do the lemon pepper and serve it with some curried pasta. I’m most excited to try Asian Style. I would serve it with brown rice. I would like to try their Foster Farms Asian Style. I would serve it with Japanese rice. I would try the Asian style, served with some rice & steamed veggies. Yum. I would love to try the Garlic Herb but they all sound delicious! Asian style would be my first pick would serve with egg rolls. I would like to try garlic herb. Lemon Pepper sounds delicious so I would love to try that one. I would want to try the Garlic Herb because I absolutely love garlic! I would love to try the fajita Foster Farms Sauté Ready. I would like to try Fajita. The lemon pepper chicken sounds good. The Fajita mix looks awesome!! I would most like to try the Asian Style. I would serve with french fries. Oh My…I would love to try the Fajita. Thanks!! I would serve it with rice. I would try the fajita first and serve with rice and tortillas. I’d like to try the Garlic Herb one! I definitely would like to try the garlic and herb. I would try the Asian style and serve it over rice with some egg rolls on the side, my family would love to try that. I enjoyed reading your blog. I would love to try out the Lemon Pepper. I would love to try the lemon pepper. These varieties all sound delicious. First I’d try the Foster Farms Sauté Ready Fajitas. I’d serve them with tortillas, a green salad and guacamole. I would like to try the Garlic Herb and serve a salad on the side. I would love to try the lemon pepper with roasted oven potatoes. I’d like to try Garlic Herb and would serve it with rice pilaf! The Asian Style would be great with some rice and veggies to go with it. I’d love to try the Asian style. I would love to try the Asian style, yum! I’d like to try the Lemon Pepper chicken and serve it with herbed basmati rice and asparagus. Oh! Asparagus is the perfect side for this! I actually bought some the other day and was wondering what to cook it with. Now I’m going to make this — great idea! Thanks! Let me try the Garlic Herb ….but I might like the Lemon Herb too. I would like to try Asian Style. I would like to try the lemon pepper w/ noodles and steamed veggies, then would love to do the fajita w/ tortillas and rice. But they all sound delicious. I might do the garlic herb with some pasta! I would like to try fajita. I love Mexican flavors. Looks yummy. I would try lemon pepper first. I would make a rice side dish and fresh veggies. 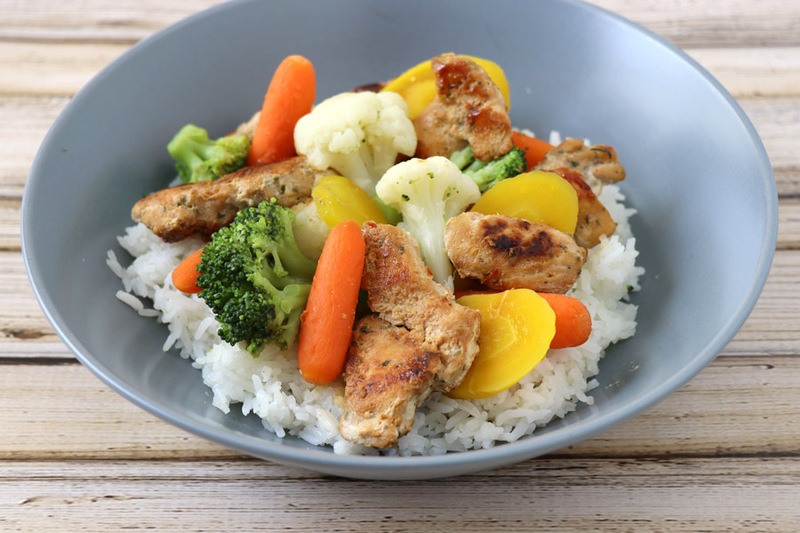 I’d love to make some stir fry on white rice with that Asian Style chicken! I’d most like to try the lemon pepper and add it onto a bed of dark salad greens. I’d like the Garlic Herb and would serve it with a salad and fresh corn on the cob. Would like to try the Garlic Herb one. Sounds so yummy! I’d like to try the lemon pepper. I would serve it with green beans. I’d like to try the garlic and herb and serve it with rice. I would love to try all of them of course!!! The first one I would like to try is Lemon pepper! I would try the fajita style and serve with salsa, avocado, and grilled peppers. I would like to try the Garlic Herb. I would serve it with summer veggies. The garlic and herb would be our first choice. i would first try the asian style and serve it with lo mein noodles. Yum! I’d try the garlic herb one. I love garlic. I would love to try the Asian Style with white rice. I would love to try the Fajita. All of them sound so good I will be getting some this week! They all sound delicious, but my first choice would be Asian Style. 🙂 Thank you. The Asian style sounds delicious to me! I would serve it with marinated broccoli and brown rice. I would like to try the garlic and herb. They sound delicious. Thank you! The garlic herb looks fantastic! I’d serve it over rice. They all sound good. I think we would really love the Garlic Herb with rice. I’d like to try the Asian style. I’d like to try the Garlic Herb flavor first. I’d serve it over white rice. They all look good. I would like to try the lemon pepper first. id love to try the garlic herb the most but all of them sound good. We just had fajitas today so to have something convenient like this would be great! I am ready to try asian style! Garlic Herb is the one that I most want to try! I would like to try the Asian Style, thanks! I would like to try the Garlic Herb — sounds delicious! Oh I would love to try the Fajita first! I would love to make it for my family with peppers from our garden! We love it on soft shells with corn cake! I think Lemon Pepper is the flavor for me. I would love to try garlic herb. Sounds yummy. They all sound yummy. First, I would try the Fajita one. I would love to try the Fajita one and I would serve it on a salad. We’d probably like to try the Asian style first! I would try the Lemon Pepper! I would love to try garlic herb with some stir fry veggies and rice! I’d love the garlic herb and serve it over rice. That garlic herb sounds amazing! I really want to try the garlic herb. It sounds and looks super yummy! The lemon pepper sounds great. I would like to try the Asian style first with rice. Asian style sounds good, and I would probably serve it with brown or multi-grain rice. i want to try the lemon herb with my husband. we would eat it with lots of roasted veggies. I love fajitas, so that would be my first choice. I would really like to try the fajitas! I’d like to try the garlic herb. I’d serve mashed potatoes and green beans with it. I’d love to try the Asian Style and I’d serve it with noodles, broccoli, carrots and pea pods. I’d love to try the Lemon Pepper! This sounds like a great product to have on hand at home. I would like to try the garlic herb. I would serve with French green beans & egg noodles. Thanks! I would try the Garlic herb and make it with some sauteed summer vegetables. GARLIC HERB WITH A SIDE OF GREEN BEANS AND MASHED POTATOES. I’d love to try the garlic herb and serve it with rice. I would like to try the lemon pepper!! I would first like to try the Lemon Pepper served with rice. It’s a tie between garlic herb and lemon pepper. Those are both flavors I really enjoy! I would love to try the Garlic Herb as it sounds fantastic! We would have some jasmine rice and a veggie! I would like to try the lemon pepper. I would like the garlic herb with rice and broccoli. That looks and sounds so good! I would love to try the garlic herb definitely! Would love to try garlic herb with my family! I would like to try the Asian Style first and I would serve it with rice and egg rolls. I’d love to try the fajita with a side of rice and refried beans. I would really love to try the garlic and herb the most. They all sound good though. I think I would like the Asian flavored Foster Farms Saute the most. They all sound great but I think garlic herb would be my favorite! Would try try Fajita in warm soft torillia with Rice or a veggie on the side. I haven’t had too much exposure yet to Foster Farms but the pics here on your blog look mouth watering! I would like to try Garlic Herb! I would love to try the fajita with sliced avocado on the side! I’d like to try garlic herb and serve it with mashed cauliflower. Would like to try the lemon pepper. I would try the Asian Style! Garlic Herb is my favorite. Garlic Herb would be my saute of choice. I would like to try the Fajita one. The fajita sounds really great to me! Thanks so much for the chances to win. well i can’t pick! i wanna try them all! I’d pick the Asian style and serve it with rice. Yum! I want to try their fajitas. I think they all sound real good but since I love Mexican the best Fajita is the one I’d like to try the most. Thanks for the give away! I’d most like to try lemon pepper. I would like to try the Fajita. I would serve it with refried beans. I would love to try the Garlic Herb! I would try lemon pepper first. Asain Styke with Cauliflower rice. Garlic herb with fish and chicken. Love the taste. I would love to try the Lemon Pepper and I would serve mac and cheese and rice with it. I’d like to try the asian style. I’d sauteed some peppers and onions to go with it. I’d like to try the Garlic Herb. I would like Asian Style with rice. Garlic Herb would be amazing in my Italian Drunken Noodle dish! I can’t wait to try the fajita! Sounds so tasty!! I love Foster Farms products. Garlic Herb sounds so good, I would like to try that one. I’d like to try the garlic herb first. The garlic herb sounds great! I would like to try the Lemon Pepper flavor. It looks and sounds delish! Garlic Herb might be the one I’d want to try first, but they all sound delicious! I would love to try the Asian style. I would serve the garlic herb over pasta. I can’t wait to try the Fajita one first! I would serve it as Fajita quesadillas…using the fajitas, onions, mushrooms, and Monterrey jack cheese with tortillas! Guacamole, hot sauce, and chips on the side. 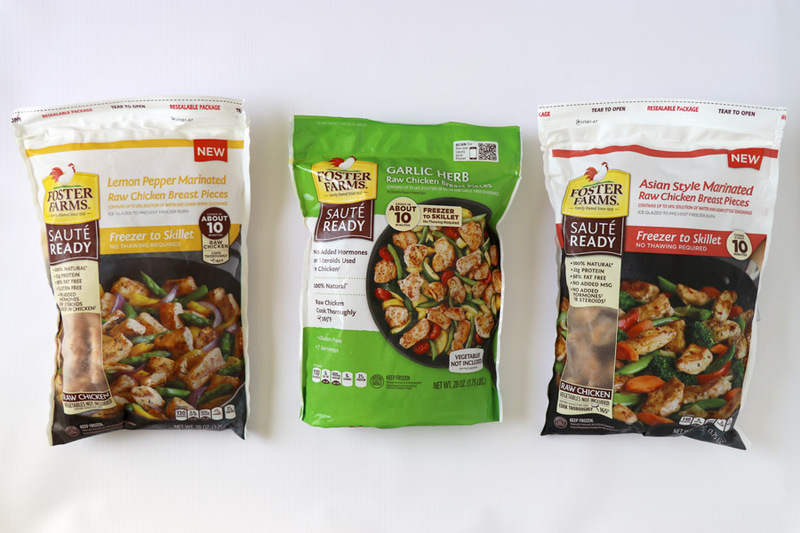 Tell me which Foster Farms Sauté Ready you’d like to try (Garlic Herb, Fajita, Lemon Pepper, or Asian Style) and what you would serve it with. I would love to try the Asian Style with some fresh veggies especially onions, broccol and water chestnuts. I love Lemon Pepper so much, I can barely wait to read the Lemon Pepper flavor. I would like to try the Garlic Herb flavor. I would serve it with pasta. I would like to try the Asian flavor.